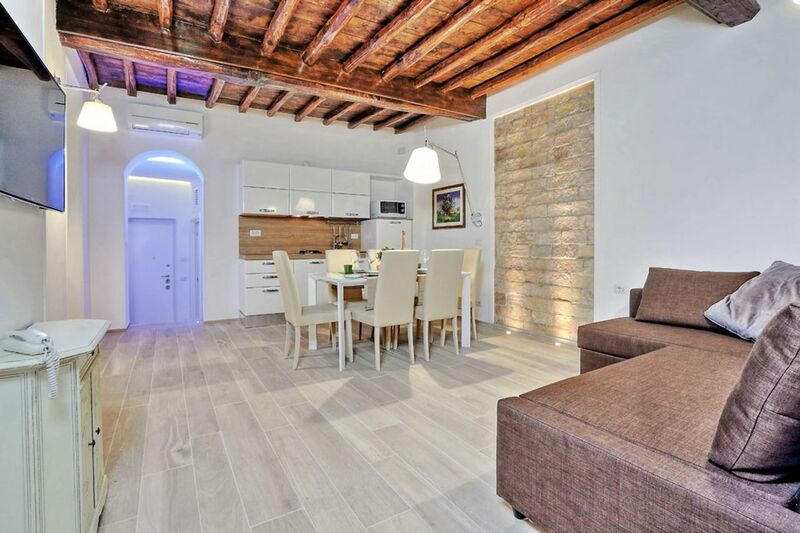 Your new student accommodation is right on historic Campo dei Fiori Square, home to a bustling market by day and nightlife hub by the evening. You’ll have your pick of Italian restaurants, bakeries and delis on your doorstep. Start your day with a warm currant bun from Forno bakery, and come back later for speciality pizza. Shop for trainers at Space 23, before browsing a private collection of 16th and 17th century Italian art at the Spada Gallery. Catch a film at Cinema Farnese, then nibble antipasto at Ai Balestrari restaurant. Finish your evening with a tipple at hip Freni e Frizioni bar before bed. 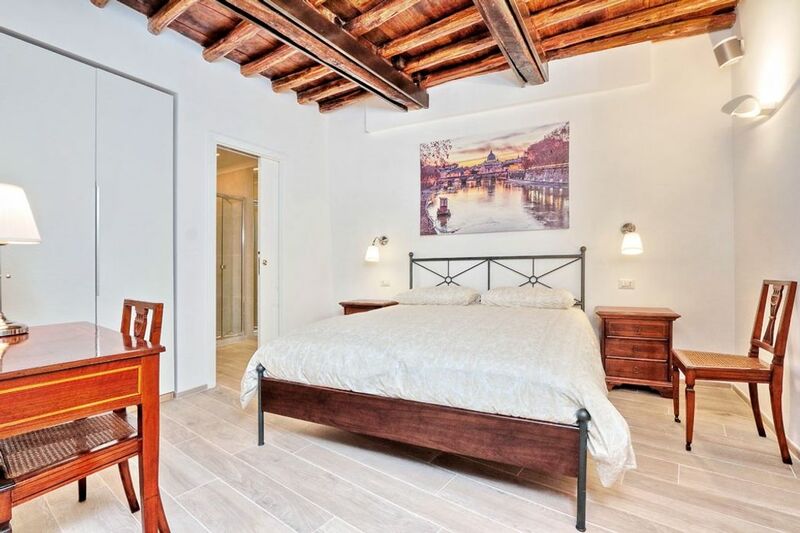 At Chiavari/80474, you’re less than a 10-minute walk from the ancient Roman temple of the Pantheon and a 17-minute stroll from the Trevi Fountain. 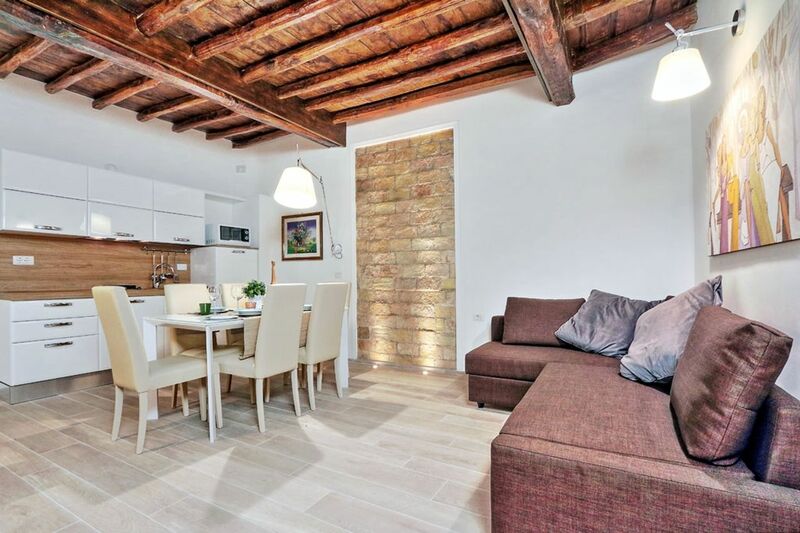 It’s only eight minutes on foot to Pontificia Università della Santa Croce, or walk cross the picturesque River Tiber to get to John Cabot University in just over ten minutes. Pontificia Università Gregoriana is 17 minutes walk, or jump on a direct bus when you’re running late. Step into your spacious, quiet apartment and immediately feel miles away from the bustle of the streets outside. Lay out a selection of delicious meats, bread and cheeses from nearby Roscioli delicatessen on the dining table, and enjoy tucking in with your flatmates while you sip a glass of local wine. After eating, sit and chat on the sofas while you decide whether to pop out for ice cream at Sweety Gelato shop, a minute from your door, or put the kettle on to brew some coffee to enjoy at home. If you’ve got work to do, connect to the internet to tackle your assignment at your attractive wooden desk. Study completed, hang up your clothes in the large wardrobe and freshen up in your ensuite bathroom with stylish tiling – with all utilities included, you can take as long as you need. With a maintenance team on hand for any problems, you can rest assured that everything is working properly. Settle down in your comfy double bed and read a book, then gaze up at the exposed ceiling beams before turning off the light and getting a good night’s sleep. Wir haben leider keine Unterkunft gefunden, die deinen Wünschen entspricht.Alle Ganze Wohnung in Chiavari/80474 ansehen.